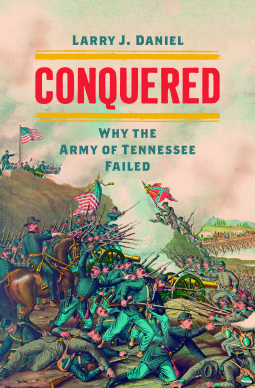 Operating in the vast and varied trans-Appalachian west, the Army of Tennessee was crucially important to the military fate of the Confederacy. But under the principal leadership of generals such as Braxton Bragg, Joseph E. Johnston, and John Bell Hood, it won few major battles, and many regard its inability to halt steady Union advances into the Confederate heartland as a matter of failed leadership. Here, esteemed military historian Larry J. Daniel offers a far richer interpretation. Surpassing previous work that has focused on questions of command structure and the force's fate on the fields of battle, Daniel provides the clearest view to date of the army's inner workings, from top-level command and unit cohesion to the varied experiences of common soldiers and their connections to the home front. Drawing from his mastery of the relevant sources, Daniel's book is a thought-provoking reassessment of an army's fate, with important implications for Civil War history and military history writ large. Larry J. Daniel is author of six previous books of Civil War history, including Soldiering in the Army of Tennessee.